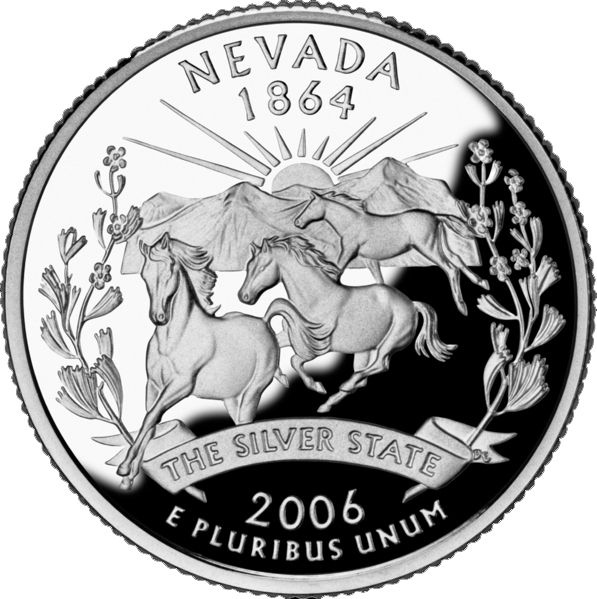 The U.S. Mint's bicentennial commemorative quarter for Nevada features wild mustangs, mountains, a rising sun, sagebrush (the state flower of Nevada), and the state's most well-known nickname; "The Silver State." 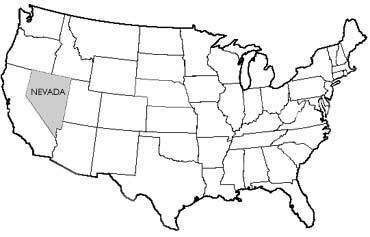 Nevada became the 36th state in 1864 (public domain image on Wikipedia). "The Silver State" nickname dates back to the Nevada silver-rush days of the mid 1800's. At that time silver was literally shoveled off the ground in Nevada; heavy gray crusts of silver had formed on the surface of the desert over millions of years and were polished by dust and wind to the dull luster of a cow horn (called "horn silver"). A big silver bed could be tens of meters wide and more than a kilometer long (worth $27,000 a ton in 1860's dollars). The territory of Nevada and surrounding states were picked clean of silver within a few decades. These "surface bonanzas" lasted only a few seasons, long enough to put up saloons and little else. The rough, violent life of many western movies reached its purest state in the Nevada silver camps. 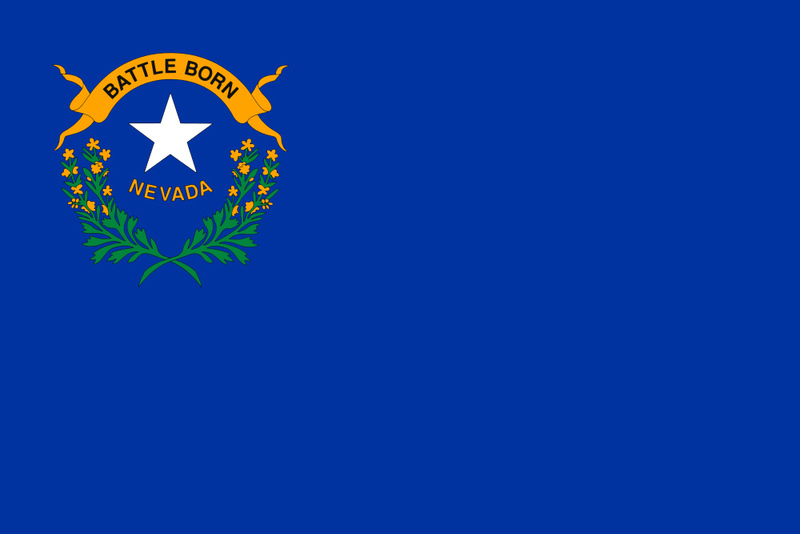 Other nicknames for Nevada are "The Sagebrush State" (sagebrush is Nevada's state flower and appears on the state flag), and "Battle Born State" - the phrase "Battle Born" is featured on Nevada's state flag; it signifies that Nevada entered the Union during the Civil War (1864).